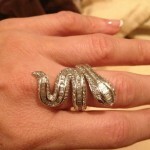 Is her Tres Glam Diamond snake ring. Check it out! 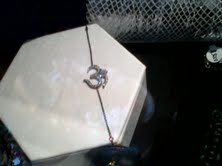 It’s especially flattering when another jewelry designer buys your designs. 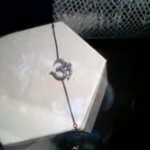 She’s wearing the Tres Glam diamond earrings in this in Napa, California at a wine tasting.